Welcome to this week’s Frothy Five presented by Beer in Boulder! Just because we’re into the second half of summer doesn’t mean that there aren’t still plenty of refreshing and outdoor craft beer events ready for you to enjoy here in Boulder County. Whether you’re craving summery treats like ice cream and s’mores or are looking to sample some exciting new beer, Boulder has an event for you this week. Here are our picks for five of the most unique, and drool-inducing, craft brewery events happening in the coming week. Shoes & Brews in Longmont is a brewery that was founded with the idea that running and drinking craft beer are two quintessential Colorado activities that go hand in hand. This Saturday, you can participate in that philosophy first hand with the 2nd Annual CollaBEERation 5k & Brewfest! In conjunction with celebrating their second birthday and in collaboration with Left Hand Brewing Company, Shoes & Brews is hosting a 5k along the St. Vrain green way beginning at 10 AM. Afterward, enjoy live music, food, prizes, and delicious beer at a post-race brewfest. Overall men and women race winners will receive their weight in beer (we call that motivation!) and new features this year include a Best Dressed Contest and additional opportunities for community giving through the Left Hand Foundation. If you’d like to register to participate in the 5k, sign up here. Time to celebrate, Twisted Pine Brewing Company! You’re finally of legal age and can imbibe in your own beer! Twisted Pine is celebrating their 21st anniversary with unique events this week every day from yesterday through this coming Sunday. Each event features a different live musical act and part of the proceeds will go to a different local organization, including Out Boulder County and the Humane Society of Boulder Valley. The Saturday event in this series caters to those of us who have a little summer sweet tooth and feel a summer day is not complete without an ice cream dessert. From 12:00 – 3:00 PM on Saturday, stop by for a craft beer-infused ice cream tasting courtesy of Lafayette’s Brew Moo’d Craft Beer Infused Ice Cream for a ridiculously delicious treat more than worthy of a Boulder summer. 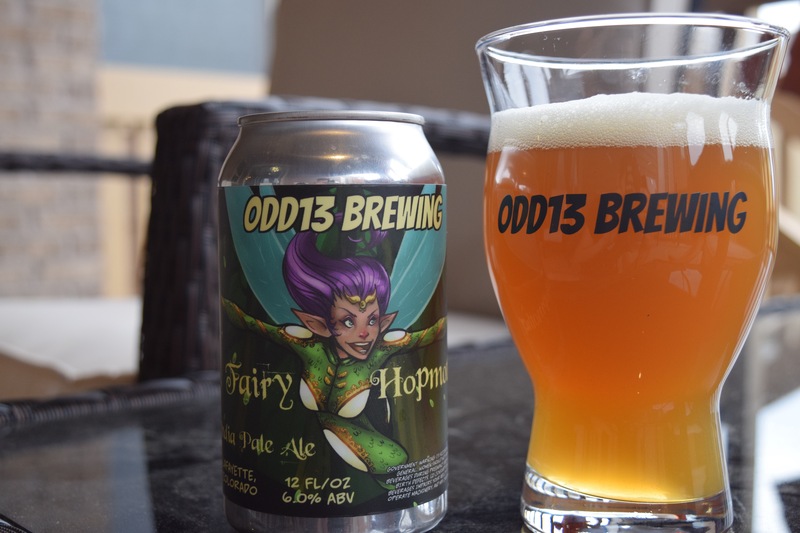 Lafayette’s own Odd13 Brewing Company, home of extremely colorful and character-driven brews, has a special treat for us for their next exclusive taproom release, the Fairy Hopmother. This IPA was brewed with hops from not one, not two, but three different countries, each of which bring unique fruity flavors to the beer such as gooseberries, honeydew, and blueberry. Part of their Origin Series of exclusive canned taproom beer releases, the Fairy Hopmother promises to be a unique beer that everyone will want to be visited by before the clock strikes midnight. When I think of summertime in Colorado, I think of sitting around a campfire, legs a little wobbly after a day of hiking, and enjoying the crisp, clean mountain air with a craft brew in one hand and a sweet, sticky s’more in the other. Luckily, a Meetup group here in Boulder County shares a similar vision. On Tuesday at 7:00 PM, check out a S’Mores and Craft Beer Pairing event at Liquid Mechanics Brewing Company to get that camping snack fix. 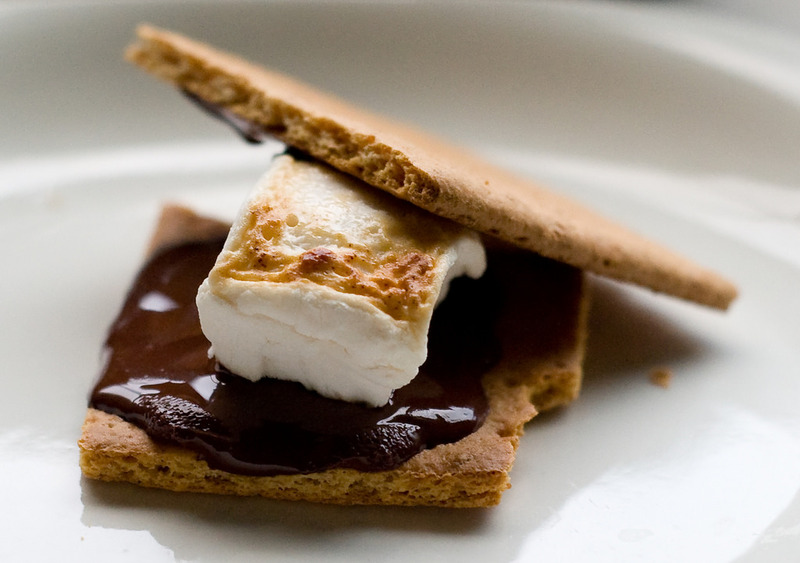 This event is going to seriously up your s’mores game. While the classic s’more will always be the fixture that started it all, think additions like Almond Joys and Reese’s Peanut Butter Cups. Now imagine pairing that s’more with a Liquid Mechanics brew like the Peanut Butter Porter, and we’re in summertime heaven. Be sure to reserve your spot for the event ahead of time here and don’t miss out on any of the gooey goodness! A relatively new brewery on the scene, having opened in June 2015, SKEYE Brewing Company is making a name for itself in Longmont for their approachable, sessionable brews. Named for the owners’ pets and with a great line-up of beers on tap, SKEYE is all about bringing people together for live music events, trivia, and more. Each Wednesday SKEYE also hosts Vinyl Night, where patrons are encouraged to BYOV (bring your own vinyl records) for SKEYE to throw onto their turntable. Be sure to stop by for some old school music, conversation, and fun! Sign up for the Beer in Boulder Weekly List of Events email here to receive an email each Thursday morning listing all of the Boulder County craft brewery happenings going on that week. Cheers Boulder, and enjoy!